Derale Transmission Cooler - 8000 Series UNIVERSAL - Dezod Motorsports Inc - Home of the automotive performance enthusiast since 2002. A step up from Tube & Fin type coolers, this Plate and Fin cooler features strong furnace-brazed construction, wide plates, 3/4” embossed turbulators which maximize heat transfer while also minimizing pressure drop. This unit is perfect for medium to full-size cars and intermediate SUVs that see light to medium duty use and some towing. It greatly extends transmission life by preventing heat-related transmission failures, and improve shifting performance. 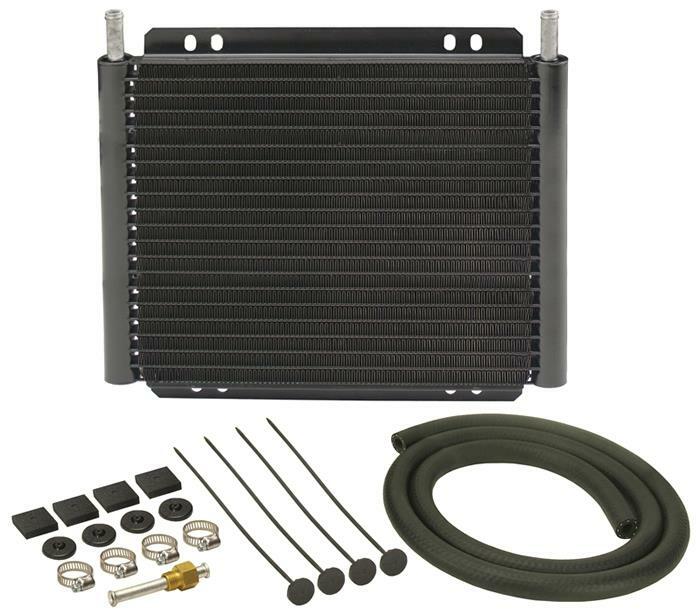 This kit comes with a complete transmission cooler hardware kit to easily install onto vehicles.